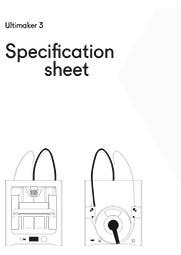 Open filament system: 3D Print nylon, ABS, PLA, PVA and third party filaments. 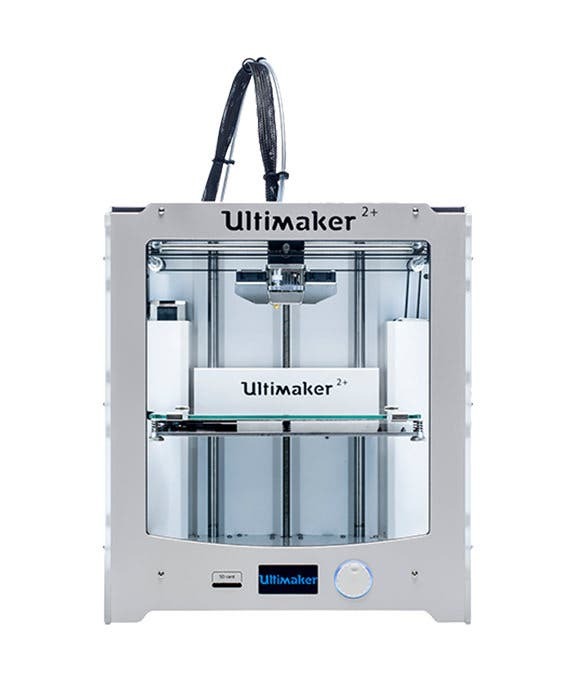 The Ultimaker 3 is the best Ultimaker yet. 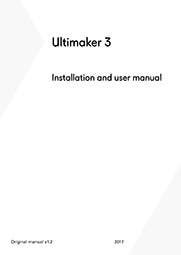 It is the perfect next step for Ultimaker Original and Ultimaker 2+ users, and it’s an outstanding choice for designers, engineers and educators who are looking to buy their very first 3D printer. Offering a build volume of 215 mm x 215 mm x 200 mm when printing with a single extruder, and a build volume of 197 mm x 215 mm x 200 mm when using dual extrusion, the Ultimaker 3 gives you room to grow. The Ultimaker 3 prints quickly too, with a print speed of up to 24 mm³/s with a 0.4 nozzle, while offering excellent print quality. 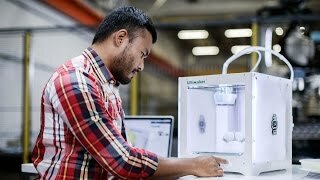 You can print at a layer height of 20-600 microns, so whether you want to create remarkably detailed models or super-fast prototypes, you can. 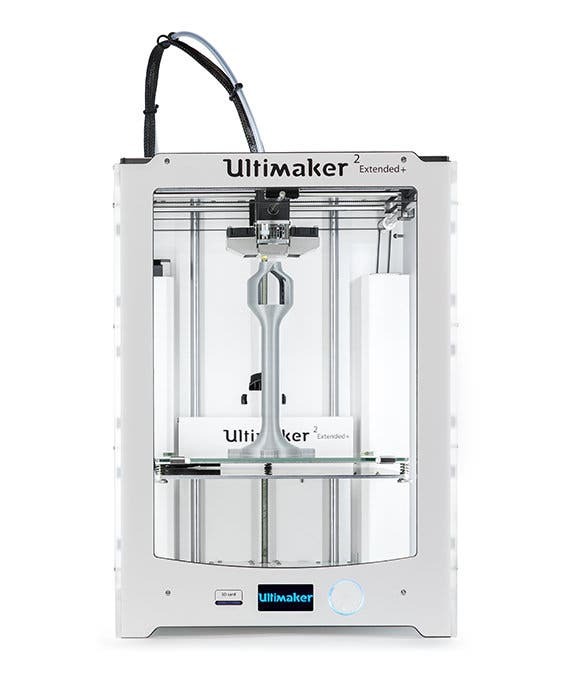 The Ultimaker 3 also has an all-new dual extrusion system, which can 3D print at a temperature of up to 280 ˚C. Together with geared feeders, industrial-grade mechatronics and swappable print cores, this enables you to 3D print with a wider range of materials than ever before with outstanding results. You can print Nylon, PVA dissolvable support material, and a wide range of ABS and PLA filaments, as well as Chlorinated Polyethylene (CPE). 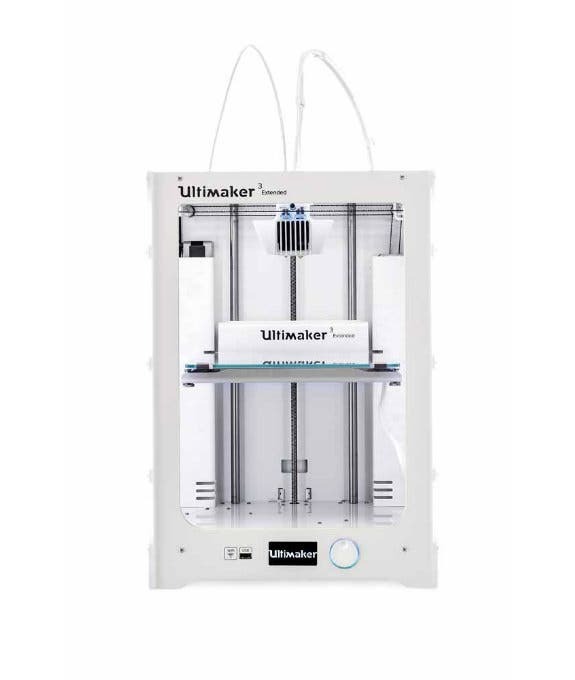 The Ultimaker 3 is the first 3D printer in the Ultimaker range to have swappable print cores, which give you higher uptime and easier maintenance. This is also the first Ultimaker 3D printer to have automated bed levelling, a feature which automatically levels the z height of the bed for optimal adhesion. The Ultimaker 3 also has an NFC (Near Field Communication) chip integrated into the spool holder, which communicates with the NFC chip that’s built into Ultimaker 3 spools and then automatically adjust the print settings for that specific filament.